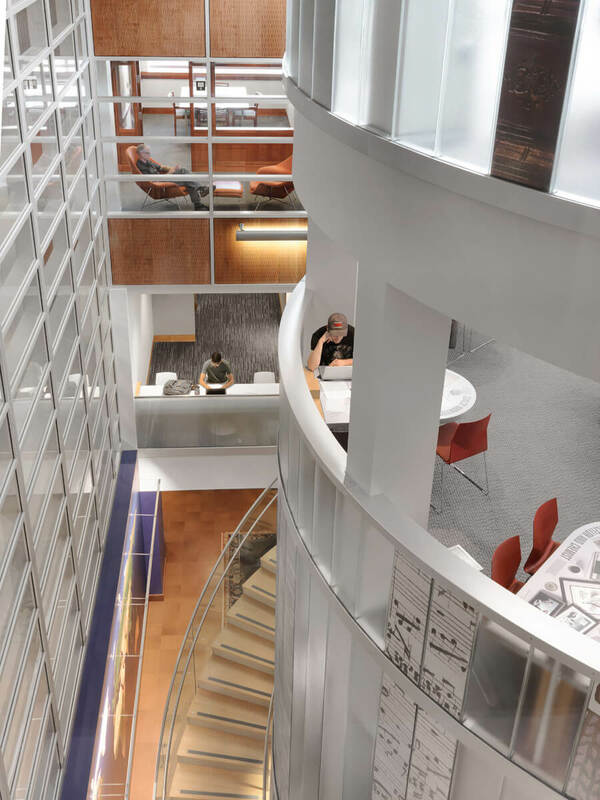 V Three Studios was selected in the summer of 2015 to work with Ann Beha Architects (ABA) as the local, associate architect for the highly-anticipated renovation of the John M. Olin Library – the academic centerpiece of Washington University in St. Louis’ Danforth Campus. 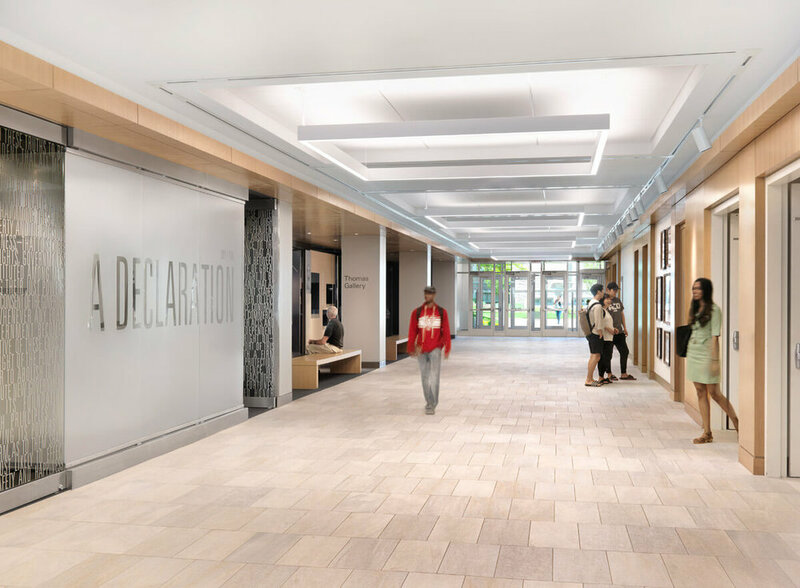 Fast-forward three years and Washington University Libraries has officially debuted the Olin Library Transformation project with new spaces and resources for learning, research and teaching. 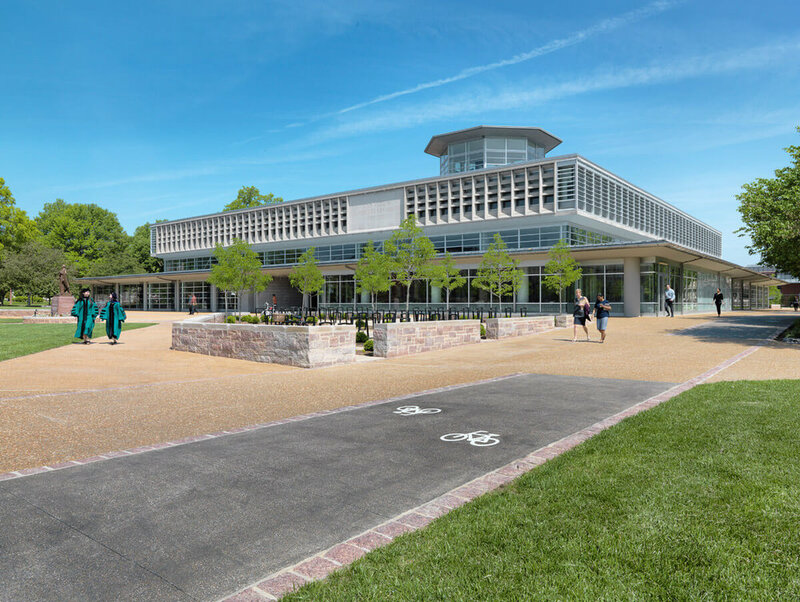 Close collaboration between V3, ABA and Washington University helped streamline the planning, design and construction phases for the $13.5 million renovation project. 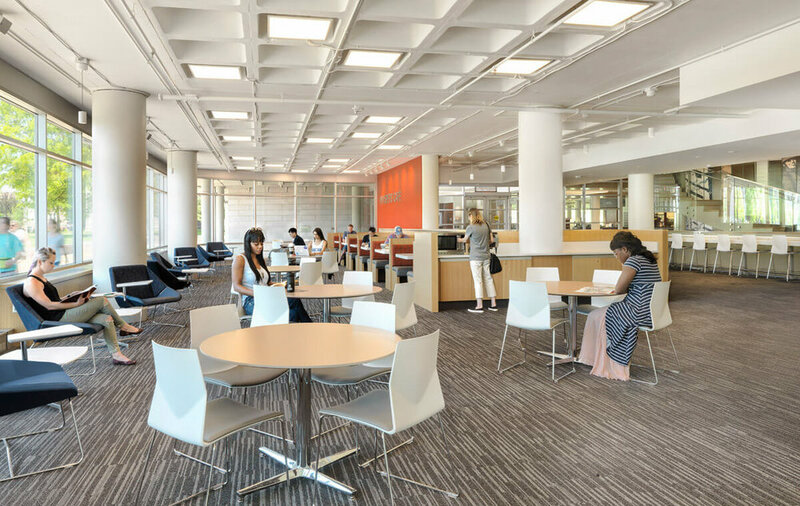 The high-functioning team worked together to improve the library’s overall design, increase its square footage, allow it to better meet the demands of current users, and respond to the ever-evolving advancements in information technology. 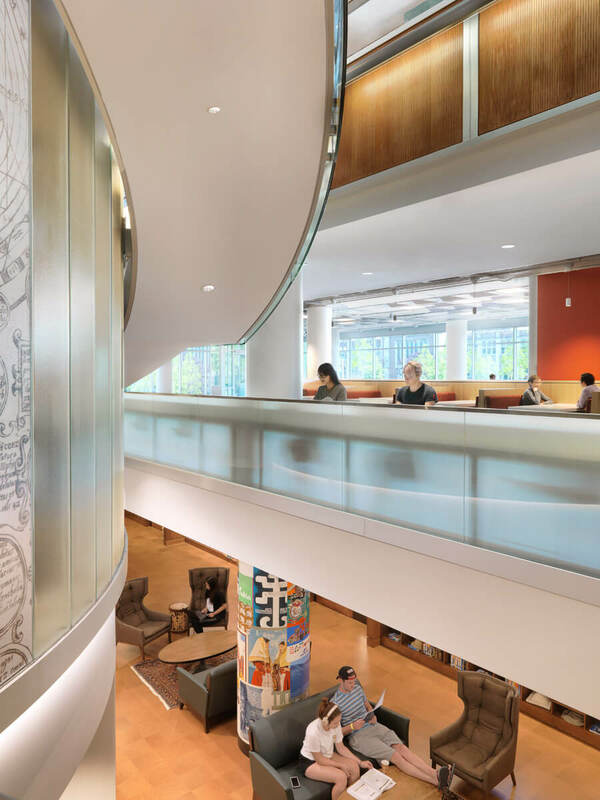 V3’s primary responsibilities included the design of the expanded in-library Whispers Café, which features the four-story glass volume of the Newman Tower of Collections and Exploration rising within its atrium. 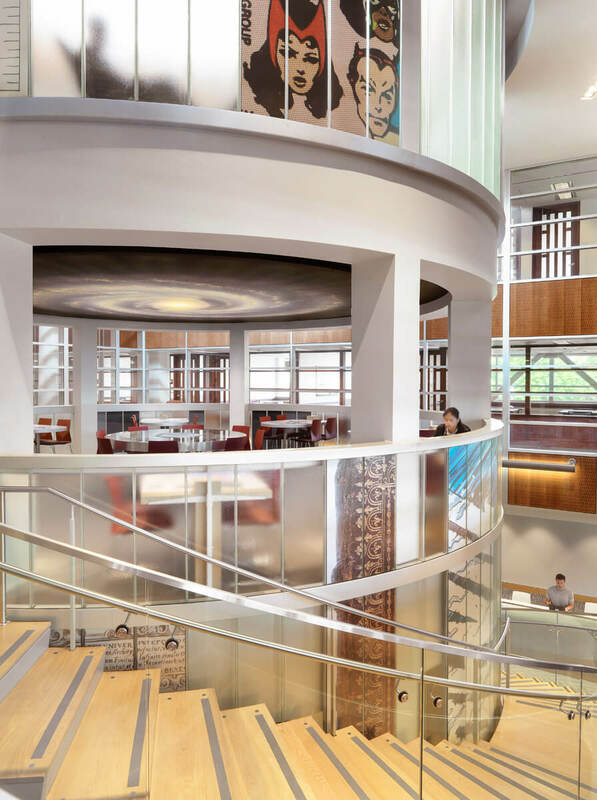 Because of V3’s extensive knowledge in food service design, they became an invaluable resource to ABA by stepping in to provide food service consultation during every step of the project. 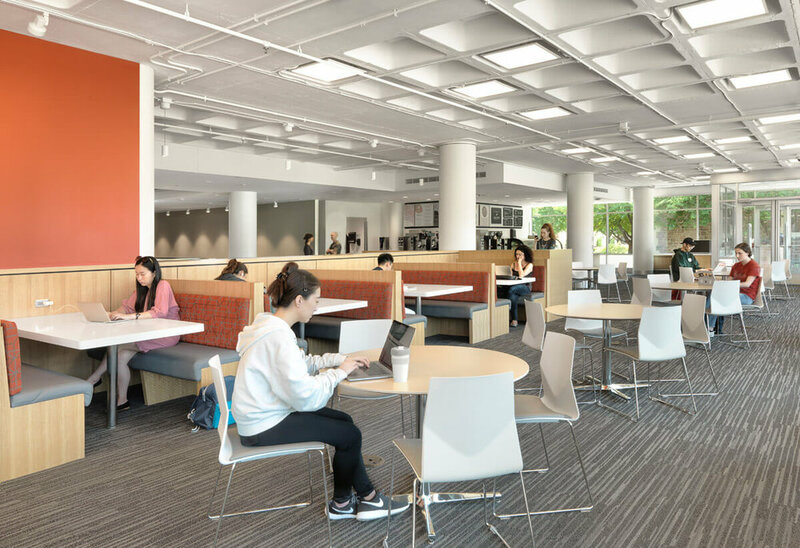 The 45,200-square-foot renovation of the Olin Library Transformation allows the building to adapt to current technologies and modern library functions while creating new connections between the users and staff and reinforcing the library as the heart of the campus for years to come.